Everyone on the workplace knows that the bottom line matters, and that without a healthy bottom line, jobs are at risk. Everyone also knows that customer satisfaction matters, since without it there is no healthy bottom line. And everyone knows that quality of products/services matters, because without it the customers won’t be satisfied. And more often than not, this is where the conversation stops. There’s one more step in what matters: the people want to matter. In an Ohio manufacturing company that had about 250 people working in the plant, whenever there was an economic downturn, a good 20% of that workforce was let go. It was an economic necessity, or so they were told. When the economy recovered, they started rehiring again, and tried to get the same workers back. Many had already moved on or lost confidence in leadership. The company had to incur major costs of recruiting and training new workers, costs that went straight to the bottom line. 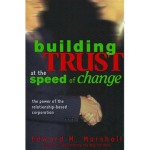 The company then adopted a culture of collaboration, the workforce was organized into teams, a new governance process was put in place, and high trust was built. When the next downturn came and management wanted a 20% reduction, the workforce chose to take a week of unpaid leave instead, preserving the jobs of 50 of their fellow workers. When the economy came back, the company had saved the costs of recruiting and training, had maintained loyalty and confidence, productivity improved along with quality, and profitability went up—and the workforce got to share in some of those profits. 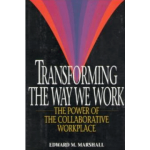 The workforce found out that they mattered—to each other, to leadership, and to the customers. By creating a leadership culture where people feel they matter, everything else the business needs to do will happen—productivity quality, customer satisfaction, and profitability.